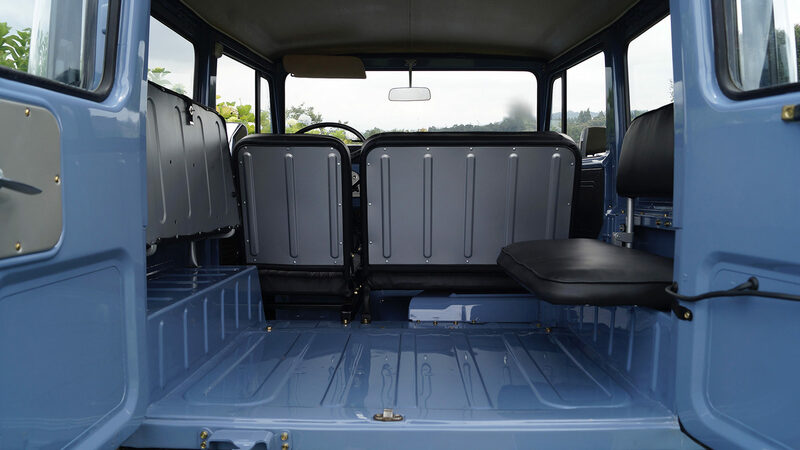 The unusually named company 506 Classic Auto Restorer is one of the world leaders in the rapidly growing world of vintage 4×4 restoration. 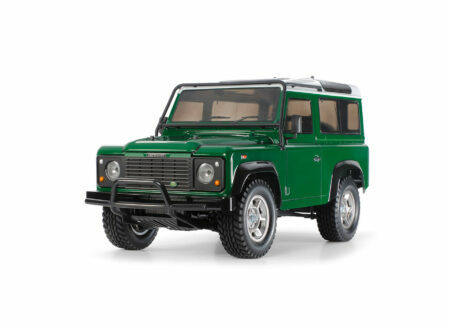 The company is run by Frank and Daniela, and they rebuild early Toyota Land Cruisers, Series Land Rovers, and early Range Rovers to better-than-new condition. 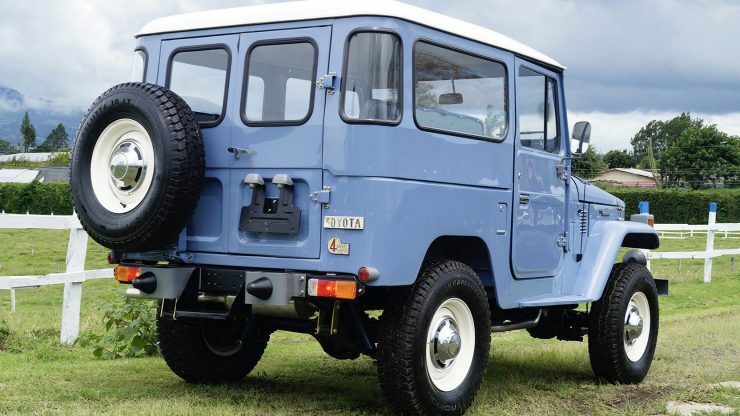 The origin of the Toyota Landcruiser begins, not with the Willys Jeep, but with the car that preceded it, the car that inspired it, the American Bantam BRC-60 (The “BRC” standing for “Bantam Reconnaissance Car”). The BRC-60 was a more lively performing four wheel drive than the Willys Jeep and was only rejected by the US military because Willys were a larger company and able to meet the required production targets. Some Bantam BRC-60’s were used during the Second World War however and one was discovered by Japanese troops during their invasion of the Philippines. It was thought to be a great military car and it was sent back to Japan for examination. Toyota then proceeded to build their own version which they called the AK10, and it was pretty much a reverse engineered Bantam BRC-60. After the war’s end Toyota were asked to make a Japanese vehicle similar to the Jeep, but not using the Jeep design. Armed with the previous work they had done to create the AK10 Toyota’s engineers designed their own Jeep like vehicle. 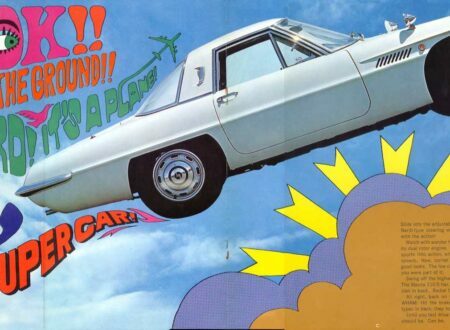 It was a bit of a “parts bin special” based on the six cylinder Type B Toyota engine, a three speed non-synchromesh gearbox, and part time four wheel drive. This was the original BJ20 (the “B” designating the Type B engine, and the “J” for “Jeep”). 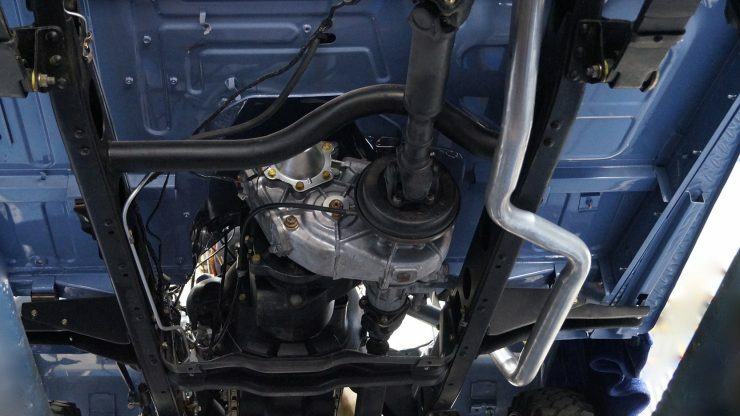 Although the AK10 had featured a high/low range transfer case the new BJ20 did not. 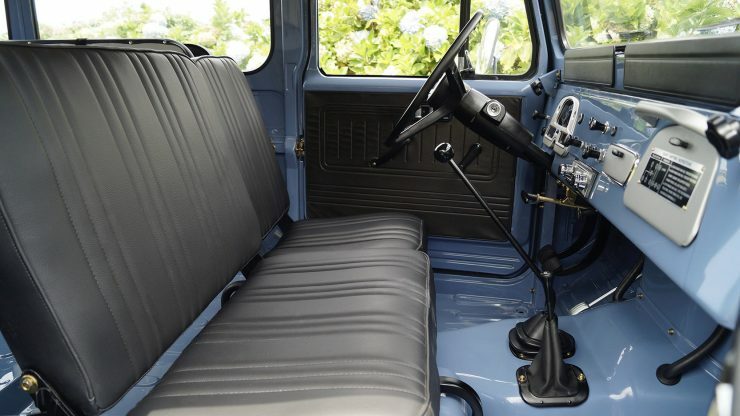 The BJ20 appeared in 1955 and was to be the grandfather of the Toyota Land Cruiser. The US military ordered significant quantities of vehicles from Toyota for the Korean War but after their design was rejected by the Japanese National Police Reserve Toyota decided to demonstrate just how good their vehicle was. Two demonstrations were done: One to the Shinto shrine at the top of Mount Atago, and the other to the sixth station of Mount Fuji. The demonstrations convinced the National Police Reserve to buy Toyotas instead of Jeeps made under license by Mitsubishi. 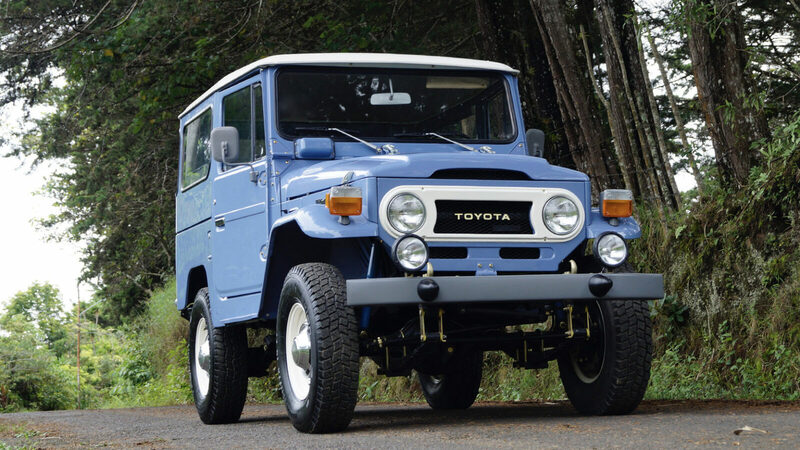 Toyota continued to develop the BJ series through the BJ30 and then the vehicle that became the iconic Toyota Land Cruiser, the FJ40 of 1960. By the time the FJ40 was introduced it was fitted with the Toyota Type F 3.9 litre six cylinder petrol engine, had acquired synchromesh in its three speed gearbox, and it had a high/low range transfer box. 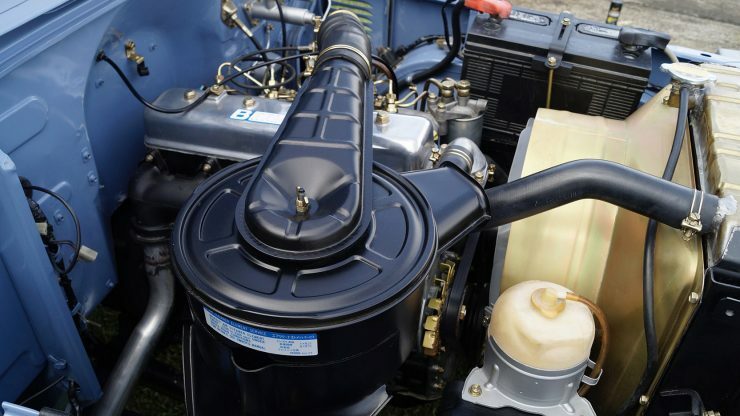 A diesel BJ40 was introduced in 1974, fitted with a four cylinder 3.4 litre Type B engine. 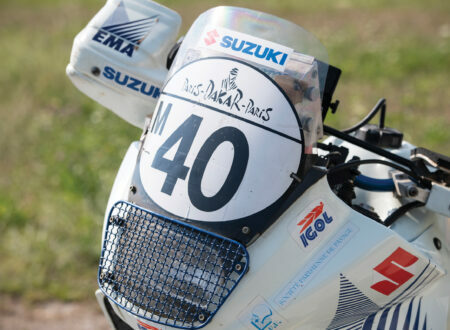 This proved to be so popular that in 1980 Toyota upgraded the diesel to a 4.0 litre six cylinder. 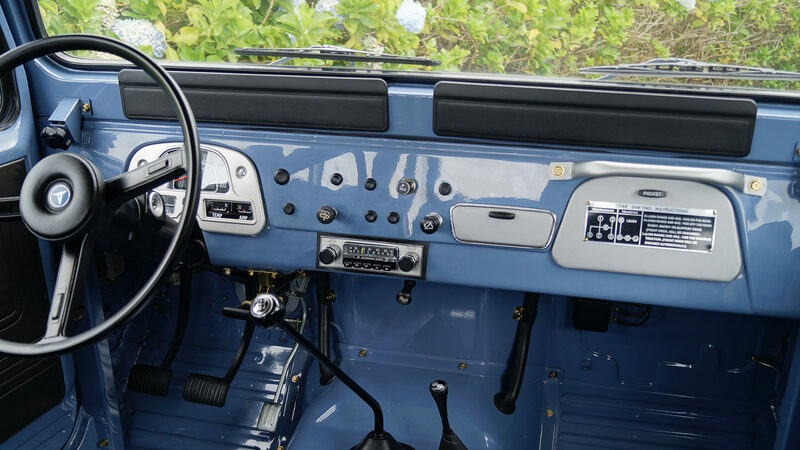 The beautifully restored 1976 Toyota Land Cruiser BJ40 you see here has been comprehensively rebuilt by 506 Classic Auto Restorer to better than new condition. 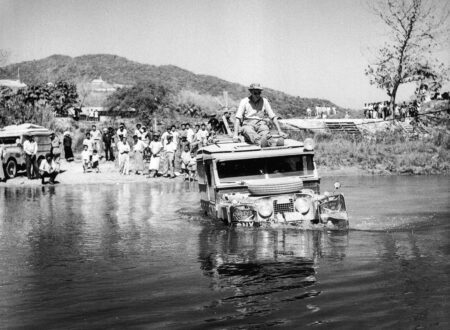 Diesel Land Cruisers are quite popular with both collectors and those who actually want to drive them off road as they’re more rare than their petrol-powered counterparts, and they’re much better suited to river crossings due to the lack of many electrical components under the hood. This ’76 model has been through a total frame-off restoration completed to original specifications with no add-ons or modifications, it includes an original radio, a rebuilt injection system, completely new OEM brake and suspension systems, a new exhaust, and a new Mystic Blue paint scheme with a black interior. 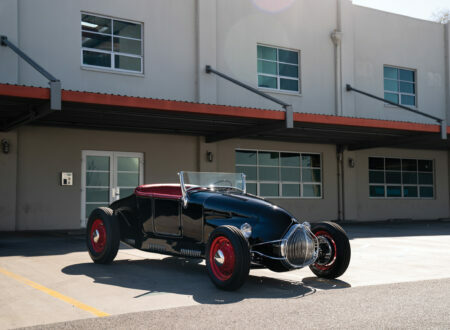 If you’d like to read more about it or register to bid you can click here to visit the listing on Mecum Auctions.